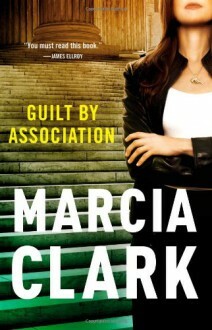 Mulholland Books presents...GUILT BY ASSOCIATION A Deputy DA specialising in high-profile cases, Rachel Knight is addicted to her work and fiercely loyal to her friends. But when her colleague Jake is found dead in a seedy Los Angeles hotel room next to the body of a teenage male prostitute, Rachel realises she might not know those around her as well as she thinks. The police want to write off Jake's death as a straightforward murder/suicide. Rachel doesn't believe it's that simple. Warned off the case but determined to track down her friend's killer, the investigation takes her through the dark and tangled city from its wealthy suburbs to its seamy downtown heart. And a truth so dangerous it could kill her. This started reasonably badly and got better and better. I loved the three female protagonists who were clever, resourceful and tough without any of them being stereotypical. The fact they got together seemed entirely natural. Great plot, writing ok.